In 2001, a small group of avid hikers met at the Open Pond Campground in Conecuh National Forest near Andalusia. They had with them a state roadmap that they had picked up at an aging rest area along an interstate. Using an orange magic marker, they began to carefully draw a line on the map. The line started in Florence, near the Tennessee state line, then headed south connecting several dots along the way—state parks, national forests, city parks, open public land—and finally ending at Fort Morgan on the Alabama Gulf Coast. The result was a proposed new long trail in the state, a mountain-to-sea hike that they would eventually call the Alabama Trail. Since that time, the Alabama Hiking Trail Society has been laying the groundwork for that trail to become a reality. Construction has gone in stops and starts over the years, the trail building is finally underway, bringing a dream years in the making to fruition. The final route of the path will determine its final length, but currently, AHTS estimates that it will more than 650 miles long. An actual complete walk-in-the-woods from the Gulf to the mountains is still years off but AHTS is working to connect those dots with a temporary roadwalk between them. 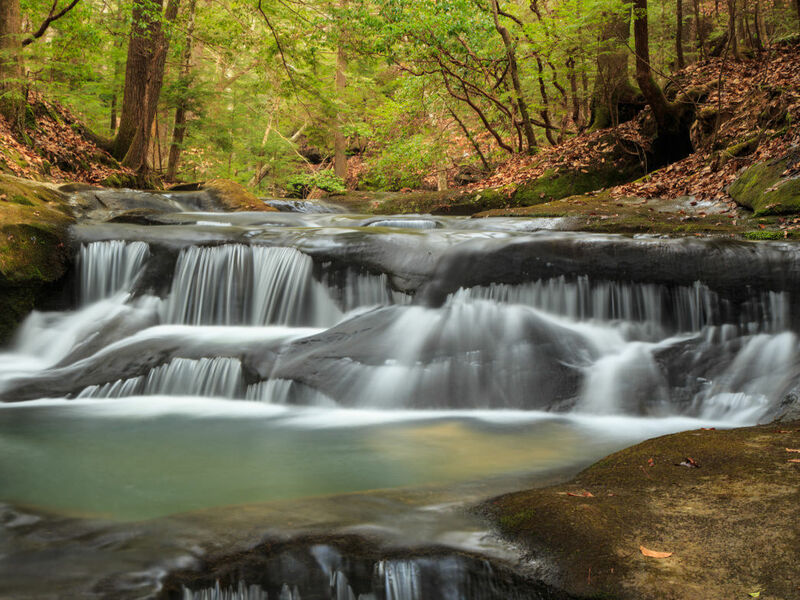 And when it’s finished, the route will delight hikers with all that makes Alabama an amazing outdoor wonderland: tranquil blackwater rivers, rich green swamps and wetlands, deep canyons, towering waterfalls, and mountains with spectacular views. The goal is to create a 650-plus mile trail, with its southern terminus at Fort Morgan on the Alabama Gulf Coast. From there the trail will head east along the Gulf of Mexico before swinging north and heading to the Oakmulgee Ranger District of the Talladega National Forest, into the Bankhead National Forest and what is known as the "Land of a Thousand Waterfalls", the Sipsey Wilderness, and into the town of Florence. 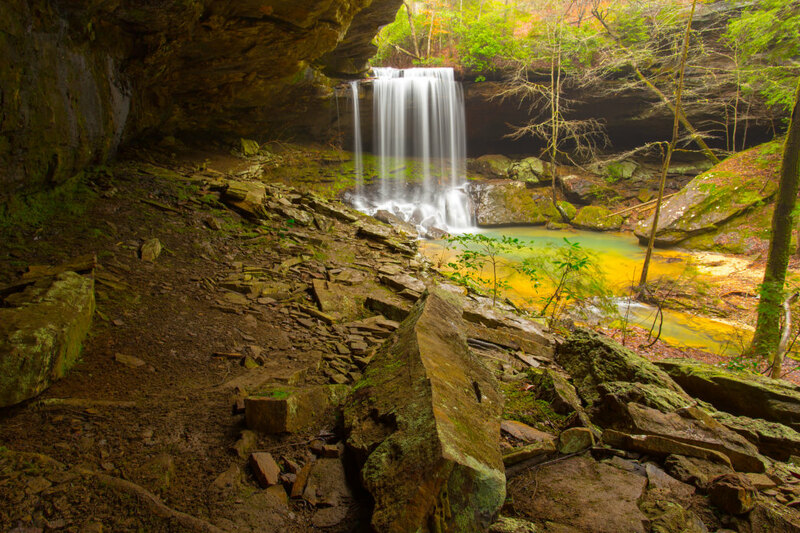 Then, the trail will turn east to Huntsville, with its northern terminus at the magnificent bowl canyon and waterfalls of the Walls of Jericho on the Tennessee state line. Between those points, there are numerous dots on the map that will be connected by the trail as it heads up the west side of the state. It’s important to note that the Alabama Trail is a work in progress and much work is needed to connect those dots. Like other long-distance paths that have come before it—the Appalachian and Florida trails, for example—it will take years to obtain all the necessary permissions and agreements to make it a complete path. In addition, the route will always be fluid, shifting as permissions, agreements, and land ownerships. 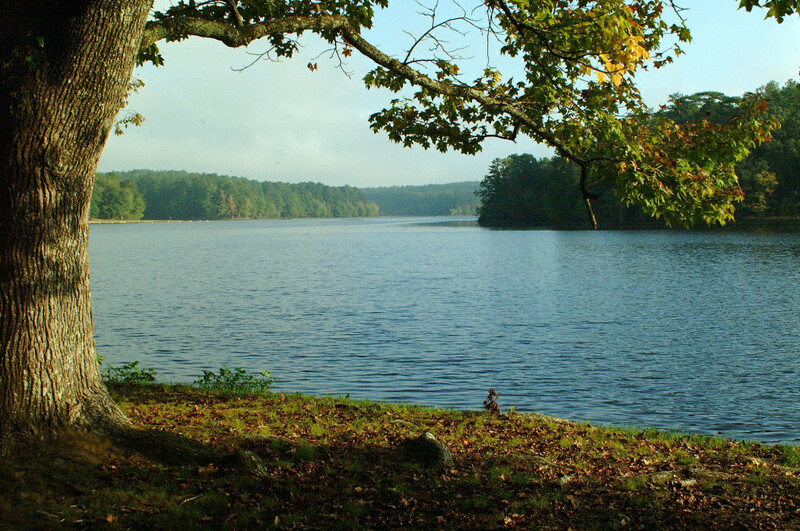 The 110-acre Payne Lake in the Talladega National Forest is one of the landmarks to be incorporated into the Alabama Trail. US Forest Service. The trail is currently a patchwork of unconnected trails and isn’t complete yet. But outdoors enthusiasts can still walk sections of it at this point. Along the proposed route, there are those "dots" previously mentioned where trails already exist that will eventually link together to be a part of the longer trail. 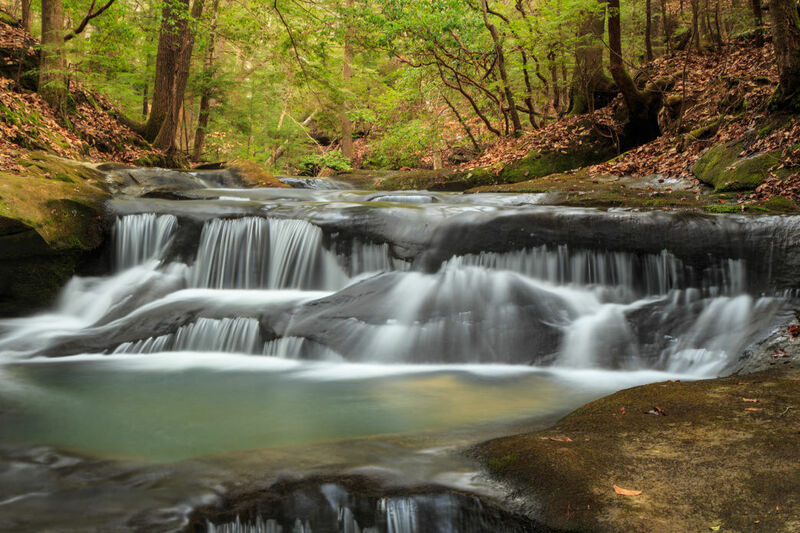 Some of the sections that can currently be hiked include the 23 miles of trail at Lake Lurleen State Park, the logging roads of the Oakmulgee Ranger District of the Talladega National Forest, the waterfalls and canyons of the Sipsey Wilderness and Bankhead Forest, and Graham Creek Nature Preserve in Foley. Currently, the longest section of continuous trail is found on the Alabama Gulf Coast. This 27.3-mile section begins at the Alabama Trail’s southern terminus at historic Fort Morgan, the mythical demarcation line between the Gulf of Mexico and Mobile Bay. The section then heads east along Highway 180 with gorgeous views of Mobile Bay to the north and the Gulf to the south, through the maritime wetlands and marshes of the Bon Secour National Wildlife Refuge, then into the heart of the beach towns of Gulf Shores and Orange Beach using the multi-use Fort Morgan Road and Hugh S. Branyon Backcountry Trails. Camping is available along this section at Gulf State Park with more spots currently being developed. And hikers can also take advantage of the restaurants and convenience stores easily accessed from the trail. In addition, the Gulf Coast is home to the brand-new trail built specifically for the Alabama Trail: the 20-mile Perdido River Trail, which rambles through cedar swamps and longleaf pine forest next to its namesake river that forms the border between Alabama and Florida. And for the hikers and trail builders who are concerned that their trail will eventually be devoured by the Alabama Trail and lose its identity and uniqueness: AHTS says to rest assured, since existing trails will not change. They will only be a conduit to help move hikers north and east across the state. As with all long-distance trails, it takes time to obtain the required permissions and agreements to route the path. In addition, manpower is another issue. It takes a lot of hard work to scout a route, obtain permissions, and cut and blaze new trail, not to mention maintaining it once the trail is built. the Gulf to Florence then across to Huntsville to get the project into high gear. If you are interested in volunteering to make this dream trail a reality, contact the AHTS—there are many opportunities along the way.